Since his appearance on Britain’s Got Talent in 2011, Nathan has had a long, illustrious relationship with Cardiff and Vale UHB and the Cardiff & Vale Health Charity. Nathan’s is unlike that of any other artist. Taking cues from pop culture in a similar way to Andy Warhol, the media with which Nathan works continues to push the boundaries of what can be considered art. Toast, pizza, glitter and soil are just some examples of the tools he’s used to create dynamic portraits of celebrities, stars and influential people. This summer, to celebrate the 70th anniversary of the NHS, Nathan was part of the special exhibition at the Hearth Gallery as he created a portrait of Aneurin Bevan, the founder of the service, using coffee on paper. Outside of this exhibition, Nathan has worked with the UHB on a number of other projects and has recently become one of our first Arts Ambassadors. 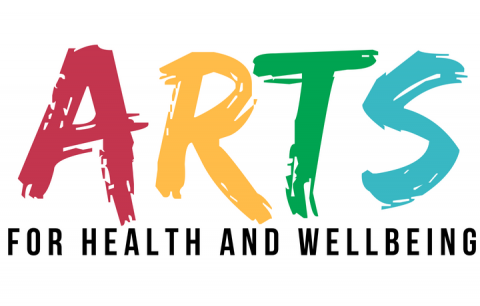 He will work to promote the use of the creative arts for the improvement of the health and wellbeing of patients in secondary care, healthcare staff, visitors, families and the wider community. Nathan said, “It’s always a pleasure working with the Cardiff & Vale health charity and Cardiff and Vale UHB. I’ve loved exhibiting at the hospital and making patients and their families smile with my unique, tongue-in-cheek portraits.